Today I am linking up with Shay for What's Up Wednesday. Let's get started! What We're Eating This Week: We are still trying our best to follow the Mediterranean diet as much as possible. We have been adding a lot more fish and veggies to our diet. We have been buying our veggies at Costco because we have been going through so many of them. Do any of ya'll have Costco memberships?? I LOVE ours! It is amazing how much food you can get and how inexpensively. 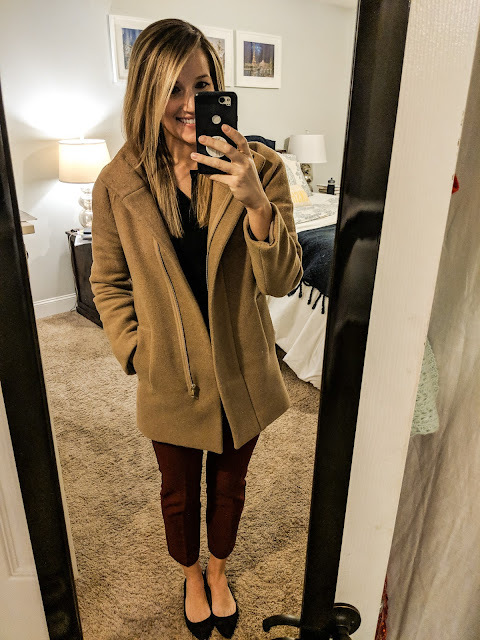 What are your favorite Costco finds? Tell me below in the comments! 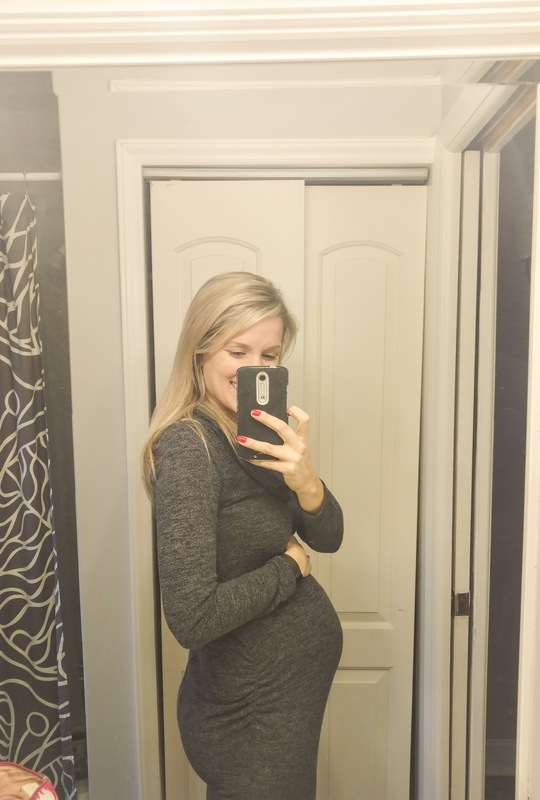 What I'm Reminiscing About: I have a bunch of close girlfriends who are either currently pregnant or just had their baby, so I have been reminiscing a lot lately about being pregnant with Lily Grace 2 years ago. It is amazing to think there was once a time when we didn't know this baby girl who lights up our world 😍. 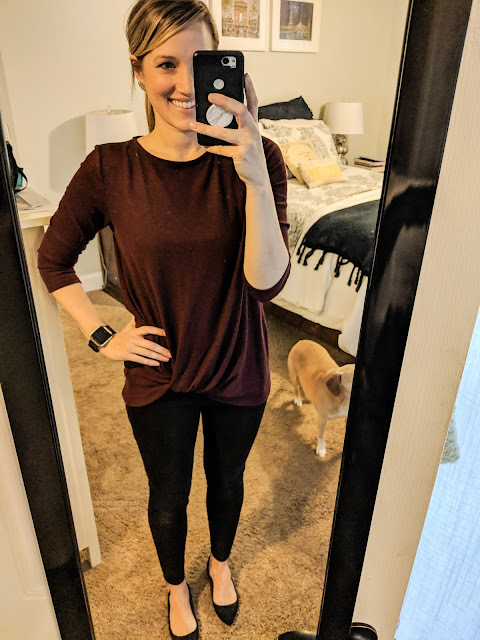 I was 25 weeks pregnant here and was LOVING my bump! Whoa that belly grew quickly! 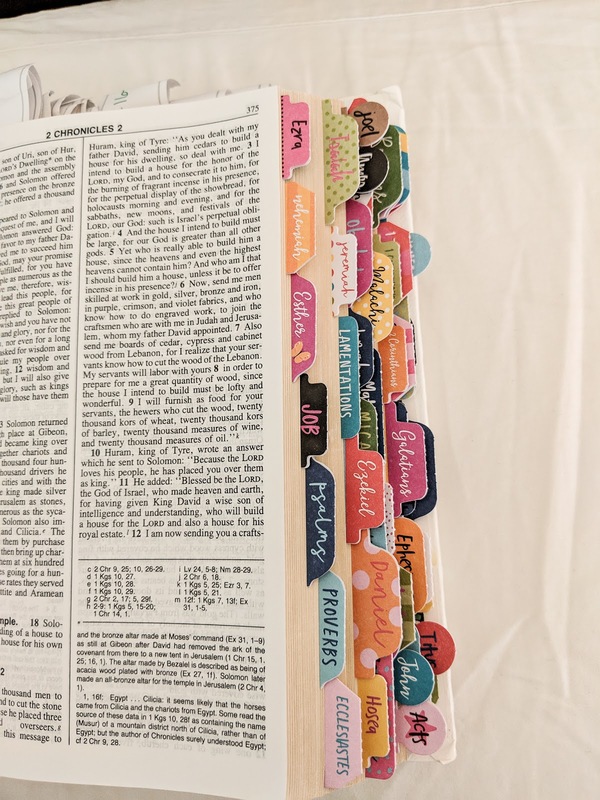 What I'm Loving: I recently bought these Bible tabs from Amazon after I saw them on Andrea's blog and I am obsessed! It jazzes up my Bible and makes it much easier to quickly flip to the book I want. If you read your Bible frequently, I highly recommend them. 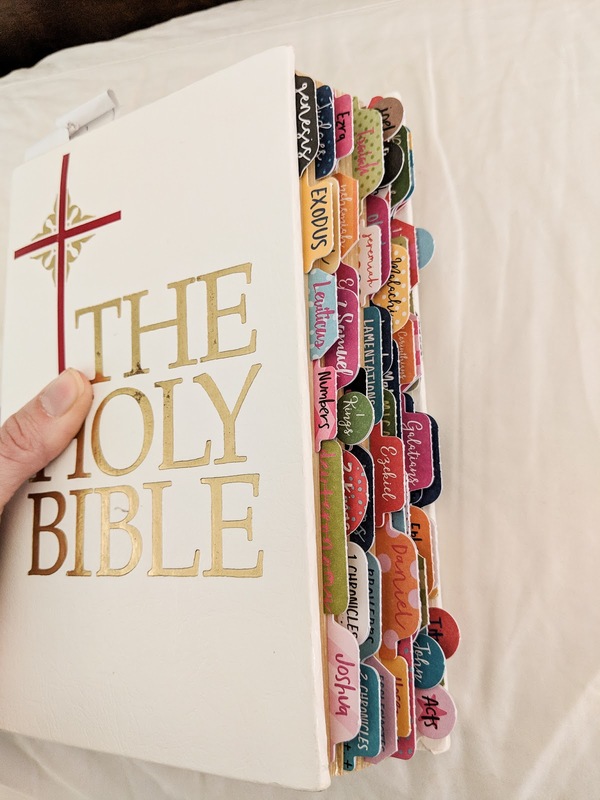 My only caveat is that there isn't a tab for every single book of the Catholic version of the Bible (I guess we have a few extra books-- who knew?! ), but there were a few blank tabs in the kit and you could easily make your own for the extra books. What I'm Working On: I had a lot of fun putting together my hair tutorial video last week and have been practicing my hand at iMovie to make a few more little videos. I plan to post them in the next few weeks! 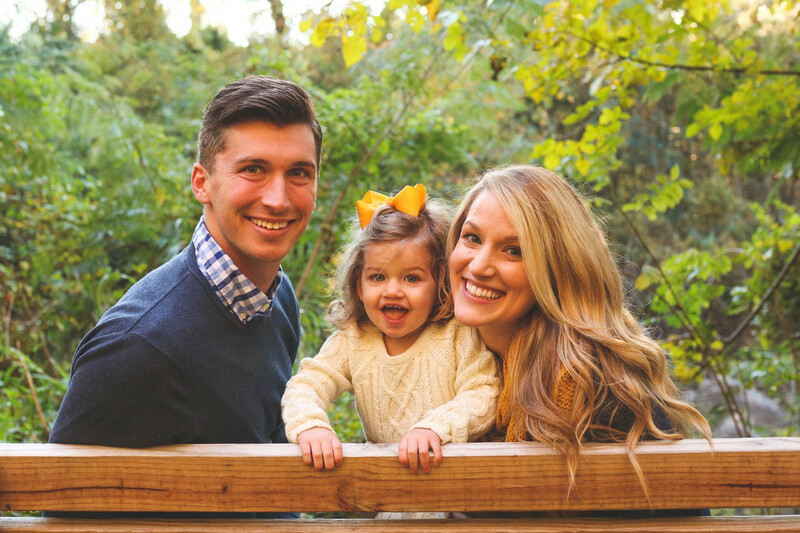 What I'm Excited About: Some of our very close friends told us they will be getting married in Chamonix, France later this year and we are SO excited for their French wedding. 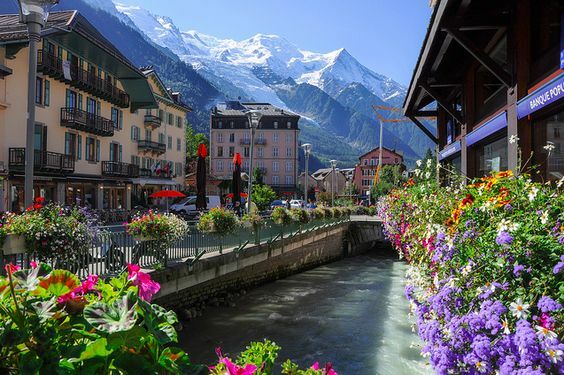 This is the town of Chamonix with Mount Blanc in the background. I have put my Italian lessons on hold and am now trying to cram as much French in as possible. French is hard! Harder than Italian was for sure. Do any of you speak another language? For now I am using the free app Duolingo and love it, but I plan to take some actual lessons at a nearby language school in a few months. What I'm Watching/Reading: Oh my goodness, I just finished Behind Closed Doors by B.A. Paris and was hooked! It was one of those books that had me from the very first chapter all the way until the end. It is definitely dark, and reminded me of Gillian Flynn's (Gone Girl, Dark Places, Sharp Objects) books, but if you're into that dark, thriller, suspense genre then you should definitely pick it up. As for watching... I am THRILLED that the Bachelor is back! I did not like Colton on Becca's season or BiP, but he is growing on me this season! That being said, I am not all the way caught up, so he may have don't something in the past episode or two to ruin that for me. Any other Bachelor fans out there? What I'm Listening To: Still listening to my favorite podcasts. 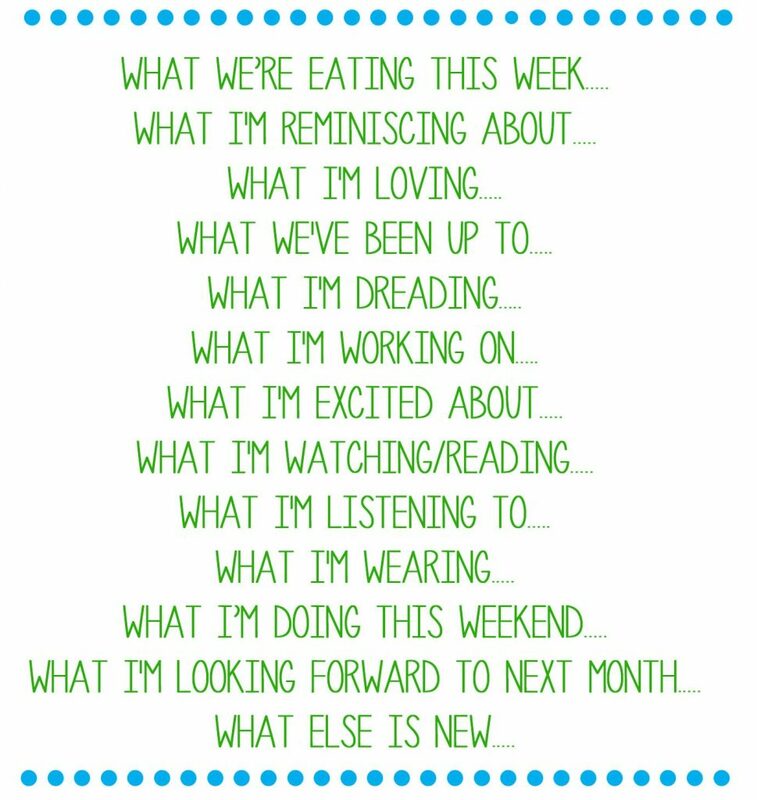 I am looking for a few new ones to add, anyone have any recommendations? 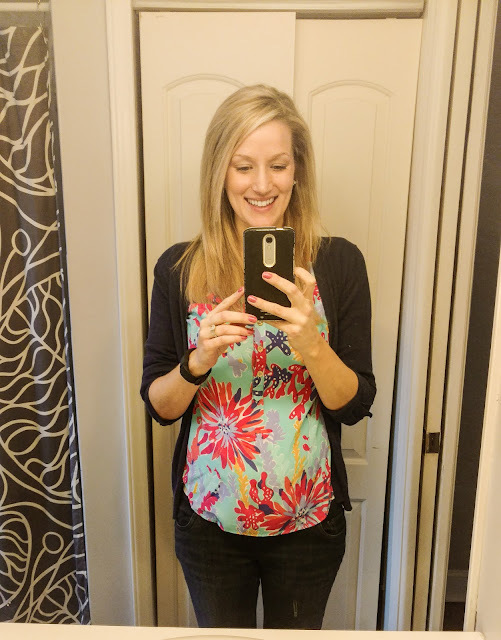 What I'm Wearing: I have been living in this shirt from Nordstrom's Gibson line recently. It is hands down my new favorite shirt. It is comfy enough to feel like a t-shirt/sweatshirt but much cuter. 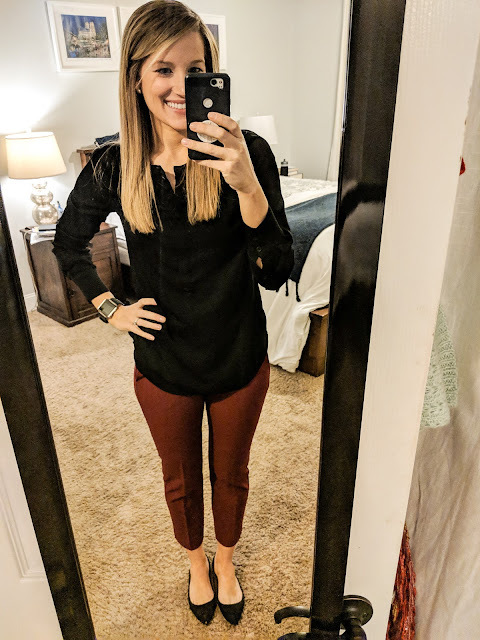 Here I wore the shirt with some black jeans and pointed flats to church. 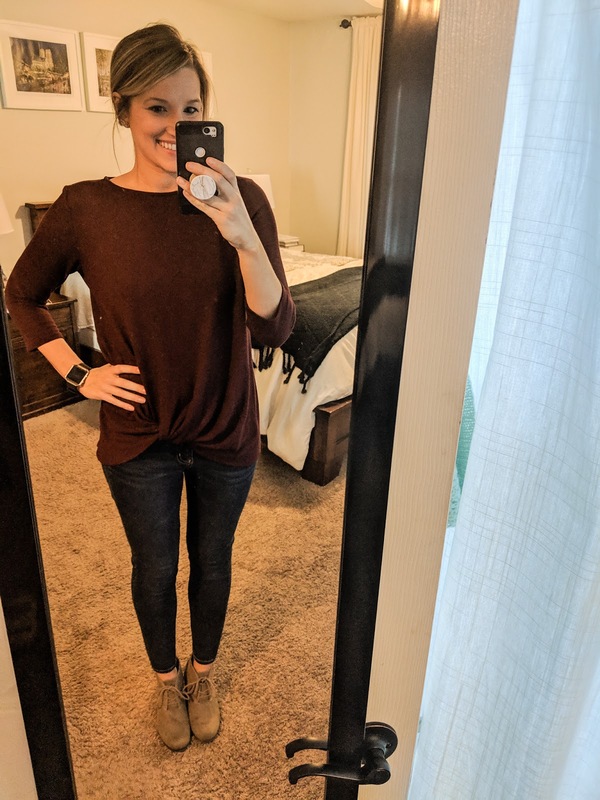 And then I wore the shirt again with some jeans and booties to a girls dinner. I am also loving these new pants I got from the J. Crew Sale. These are the same flats from earlier. 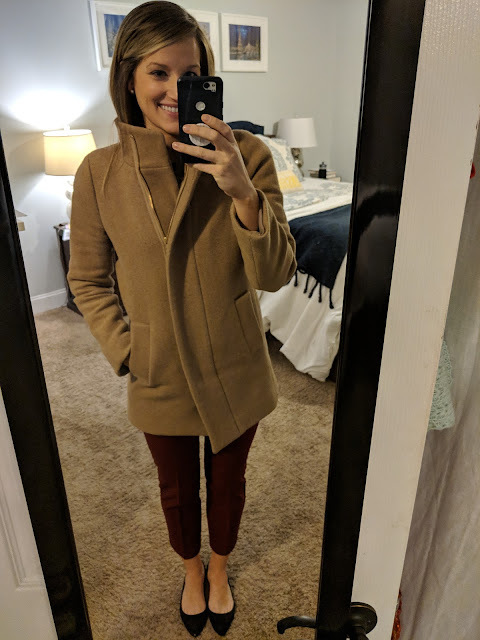 And my coat that I love. What I'm Doing This Weekend: This weekend Devin's parents will be in town, so I'm sure we will be spending a lot of time at our nearby children's museums/libraries/parks. We will also make Lily Grace's Valentine's Day cards. LG loves doing anything artistic, so we make our own homemade cards and send them out to family and friends. What I'm Looking Forward to Next Month: Valentine's Day! It's such a fun holiday and I love celebrating with all the people I love, not just with Devin. 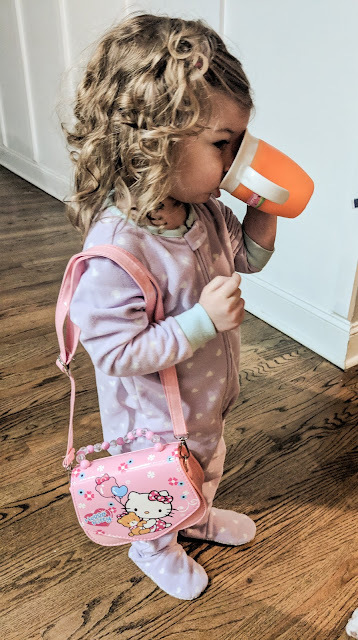 Growing up, my dad always got gifts for my sisters and I as well as our mom and it started spreading out to all the people in our lives that we love. I love that this holiday doesn't have to be about being in love with a "special someone", but just about showing your love for everyone who is special to you. That will be so fun to go to a wedding in France! Your little girl with her Hello Kitty bag is so cute! I love how your bible tabs look! I feel the SAME way about reminiscing about your baby bump! 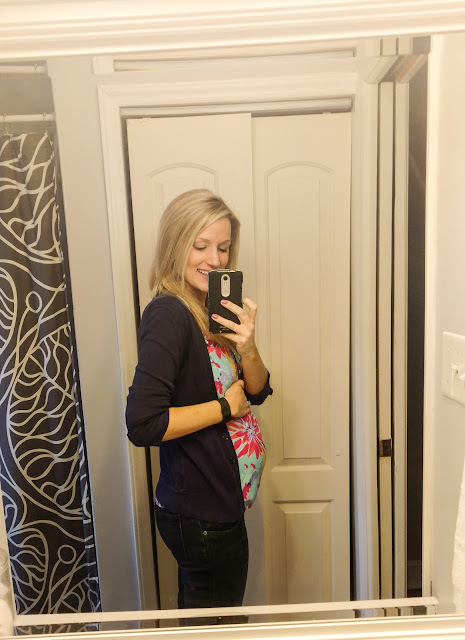 I feel like everyone around me is expecting and it's making me miss my bump! Also, I love Valentine's Day too, I'm so looking forward to that next month, we order a heart shaped pizza every year, easy and delicious :) Happy Wednesday! That's such a cute idea! Is your pizza from a local place or a chain?